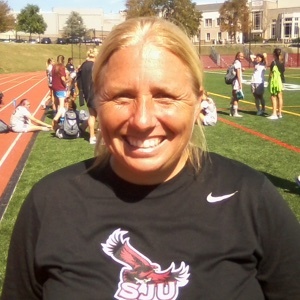 The only coach in Saint Joseph’s program history to lead the Hawks to the Atlantic 10 Tournament, Jess Mannella returns for her 16th season at the helm of the women’s soccer squad. In 15 seasons, Mannella has turned around a team that posted a single A-10 win in the year before she arrived, to a highly-competitive club that has since made five postseason appearances and had 21 student-athletes garner Atlantic 10 All-Conference accolades. helped her team to a 48-25-3 record from 1993-96.